The Best Tool for Writing? Plain Text. I wrote my undergraduate thesis (back when 30k words seemed like a big deal!) in Microsoft Word. No, I’m not one of those default Microsoft haters – one of the original developers of MS Word is a close friend of mine – it’s a decent product that was a superior option in the early days. However, for a professional writer, Word just has way too much going on. When I’m writing, I’m already really susceptible to distractions and it takes a lot of willpower to stay the course and put words down on paper. I’m not a typesetter – I don’t need to set weird margins, add tab stops, adjust page width, change line spacing, or use a bunch of different fonts. Also, I can’t lug a laptop around everywhere with me, sometimes I think of the perfect sentence to add to my last paragraph while I’m on the bus home and only have a smartphone. So, I went shopping for a new tool a few years ago. I wrote my masters thesis in Mellel, a product which advertises itself as “The Word Processor for Professional Writers” and it is pretty good. Perhaps most importantly, it never crashed on me once in three years of intensive use. The main thing to Mellel is “styles”. You set-up a series of basic styles, i.e. title, paragraph, blockquote, citations, etc. and then Mellel does its best to apply consistent formatting to your text based on those styles. If you decide to resubmit that journal article to another publisher and they have a different format for headings? No problem, just modify the style for headings. Mellel also has (in my experience) extremely simple integration with several popular MacOS reference managers, Bookends and Sente. At the time I was using Mellel, it just wasn’t portable. They’ve since developed an iOS app (haven’t tested this yet), but in order to access my writing anywhere at any time I made the decision to jump on the “plain text” bandwagon. In case you haven’t been in the loop on this change in digital writing culture, a large group of writers over the last few years – led primarily by software developers – decided to stop storing their writing in proprietary formats. To explain why this is significant, I should note that every once in a while I get an email from a former teacher or colleague who has an old cache of documents they wrote on some ancient word processor in the 1980s (usually word perfect) – let’s say they’re hoping to release a new revised edition of a monograph – but they can’t open the files because let’s be honest, we all threw out our floppy disk collection with those word perfect discs about ten years ago. The current version of Microsoft Word has dropped importing tools for older (let’s say pre-2005) file formats. Who’s to say that in 2025 Microsoft will still be developing Word? Or that you’ll have any way to open those Mellel files? Betting your prime intellectual property on the goodwill of software developers is not a good idea. Really, I mean it. So these good folks started to scratch their heads and ask why exactly we spend so much time trying to fix messed up fonts, margins, bullet lists etc. If it’s really just the words on the page that matter, why not let someone else do the heavy lifting in terms of making it look pretty? The plain text approach puts content in the centre, aims to make markup as lightweight as possible, and leaves the formatting to the end (i.e. “post-processing”). Plain text is nice because I can open a document on my iPhone, android tablet, random computer in an internet cafe while I’m doing fieldwork, you name it. And I will almost certainly be able to open it on whatever we have instead of computers in 30 years. The thing I like best about plain text is the uncluttered ethos – it’s just about the content, putting words on paper. However minimal you want to get there are a few things you’ll still need to do: headings, italics, blockquotes, and footnotes. I accomplish these things using lightweight markup language called MultiMarkdown. John Gruber developed markdown with the goal of enabling writers to mark up text around these basic requirements that looks as close as possible to what it will look like in the end. Want a heading? Just put a # at the front of a line. For *bold* just enclose the word in asterisks. MultiMarkdown adds a few other features that are useful for writers – in particular support for citations (I’ll get to this in a later post) and footnotes. 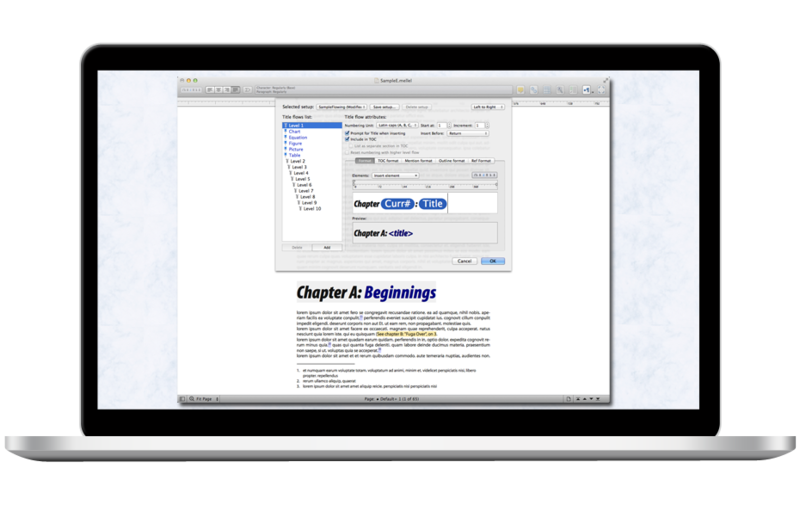 So give it a try – you can write in plain text using any computer, just open “textedit” on a Mac, or “notepad” on your Windows PC. There are an increasing number of good text editors made for streamlined writing in markdown, I’ve used a bunch of these including Scrivener (used this one for my PhD Diss), MultiMarkdown Composer, byword, IA Writer, Marked 2, Texts, and Ulysses and I’ll share a review of my favourites in a later post. I’ll also explain how I work with citations in a streamlined way in a later post. What do you think? Have you taken the plain text plunge? I’d love to hear your comments on your favourite writing tool. What use is GIS for the humanities and social sciences?